The number of senior financial scam cases are increasing exponentially. Senior citizens are at the highest risk of fraud. Being the generation with financial stability as well as the generation not as up-to-date with the ever-growing uses of technology, they have become the target of most financial scams. Seniors are often less likely to report a scam in fear of embarrassment, not knowing who to report to, and having a hard time recalling what happened due to age and deterioration of the mental state. 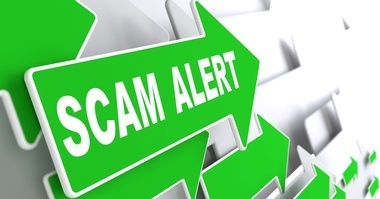 Utility Scam: Utility scams are often done through phone calls. Scammers will call and pose as an employee of a company, claiming that there are several unpaid bills and threaten if there is no payment immediately, electricity will be cut off. In fear of the inconvenience of no electricity, most victims will fall for this trick. The best way to know if this is a scam is to hang up the phone and call your utility company directly to confirm. The Grandparent Scam: Social media has become the easiest source in finding senior citizens to scam. As kids continue to upload photos of family members, it becomes easier to locate the next target. Scammers will call and impersonate a victim as their grandchild and will claim to be in jail and in need of bail money or have other such financial difficulties. They will claim they are too embarrassed to ask their parents and persuade you to wire the money over. To ensure that you are not being scammed, do not hesitate to call the person the “scammer” claims to be and ask them directly. IRS initiates all contact through regular mail delivered by the United States Postal Service. If you owe taxes, the IRS will instruct you to make the payment to “United States Treasury” or at irs.gov/payments. To be safe, any notification from the IRS should always be brought to the attention of your accountant first before any action is taken. Sweepstakes scam: Sweepstakes scam is one of the oldest scams around. Scammers will state that you have won a large amount of money/prizes and in order to claim the money/prizes, you just have to submit a small amount of money as a fee or tax on the prize. After sending in the money, you submit the monetary prize (check) to the bank only to find out that the check bounced. The scammer has given you a fake check only to use your submitted check to cash in money. It is never too late to be aware, and to prevent yourself from any future scams. In order to assure your money is safe, do not be afraid to speak up and ask questions when a caller asks for any personal information. When in doubt, hang up the phone and verify if the information is true by calling your utility company, your grandchild, etc. directly. Any need to wire money through the forms of Western Union or Apple gift cards is a big red flag that you are dealing with a scam artist. Do not forget that if any offer sounds too good to be true, it probably is!